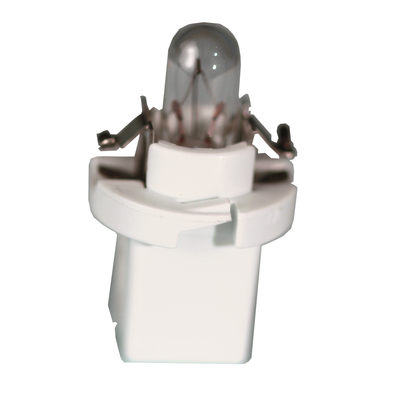 One-piece, Long Life, PCB Design, these welded wire terminal lamps offer excellent performance, low cost, and reduced labor. 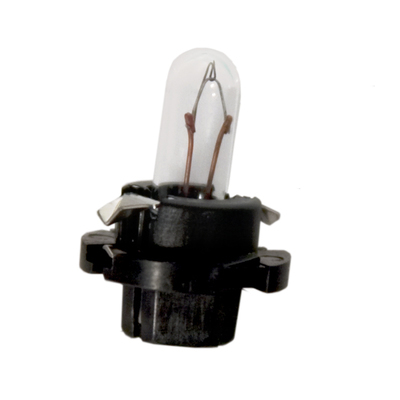 The welded wire terminals are ideal for a variety of applications, including automotive cluster lighting. This design provides for the perfect high reliability alternative to wedge based lamps, offering up to 300% greater lamp life. The welded contact is ideal for high vibration applications and the hole pattern often allows for drop in replacement of wedge lamp/socket designs. Paddle base styles are available for easy hand placement. Low profile base options are offered to accommodate applications when limited space is available on the back side of the board. Compatible colored filters are available.